Daniel U.M. (from the crew Underground Minds) has been at the forefront of the Brazilian electronic scene since the mid nineties. His unique long mixing style of Deep Techno & Techouse became notorious. He started to play professionally about 1996 and had the privilege to be invited to the 2 year birthday party of the legendary Hell's Club. These last years, Daniel U.M. played on the most important underground clubs and had residencies such as Wicked at A Lôca and a monthly on Technova (Lov.e). Invisible Hands, Mentalhighs, South Connection (2), U.M. Owner of a very unique Techno repertory and mixing style, Daniel U.M. (Underground Minds) has been at the forefront of the Brazilian electronic scene since the middle of the nineties, times when he had the opportunity to discover the World of the underground dancefloors such as Hell's Club at Columbia, A Lôca and Latino. 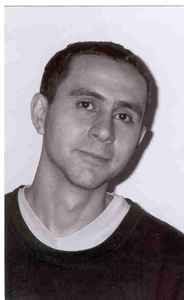 Supported by the some of the pioneers DJs of his scene (Gil Barbara and Luis Pareto included), Daniel learned very early the importance of having a large cultural background and soon created the Underground Minds with some friends (such as Mauricio U.M.) - that's the reason why he never gave up with his constant and deep musical researches. Music, for him, has always been a question of feeling. From House to Techno, he has developed a very close relation with the deep atmospheres, warm chords and melodies. On the other hand, he is capable to balance these dense soundwaves with more minimal, hypnotic ones, creating a personal mark of excellence. With his undeniable talent, he was able to gain the residences of Wicked at A Lôca, where he would play memorable sets on the afterhours of Fridays, mixing tunes from other artists devoted to deep, atmospheric, minimal-hypnotic, techy or housey driven. After some years, he moved and became monthly resident of the famous Technova night at Lov.e club on Fridays. Daniel U.M. has always been a synonym for high-quality sets of aesthetic electronica. After all these years, though, he upgraded his DJs skills more than ever, which would let him play his true underground sets wherever he wants, though with a straight connection with the dancefloor. This ability of knowing how to conduct the best repertories according to the public was naturally added to his accurate technique of long mixes, which impresses from the large public to the most intense listeners. The number of memorable nights he played is so huge that he gained a respected team of supporters, from producers to DJs, party organizers and journalists, becoming an example to the newer generations of the electronic scene. A good example of his influences is noticed on the productions of the Future Visions Crew (created by the DJs Jeff Space, Thiel, Pedro Jhorce and the producer Edson Byer, which counts also on Max Underson), or in the sets of a large number of deejays in Brazil. All these qualities are enough to grant this Underground Mind the chance to play anywhere in the planet. Even though, Daniel U.M. went further and dedicated a considerable amount of time developing his production skills (his first partnership was the Invisible Hands project alongside Eraldo Palmero of Waterfront). More recently, he settled a special partnership with the talented producer Max Underson under the name of Mentalhighs - a project dedicated for friends with analogue musical perspective, sharing the elements of deep, atmospheric, dense, complex and minimal-hypnotic techno - definitely the essences of Daniel U.M.